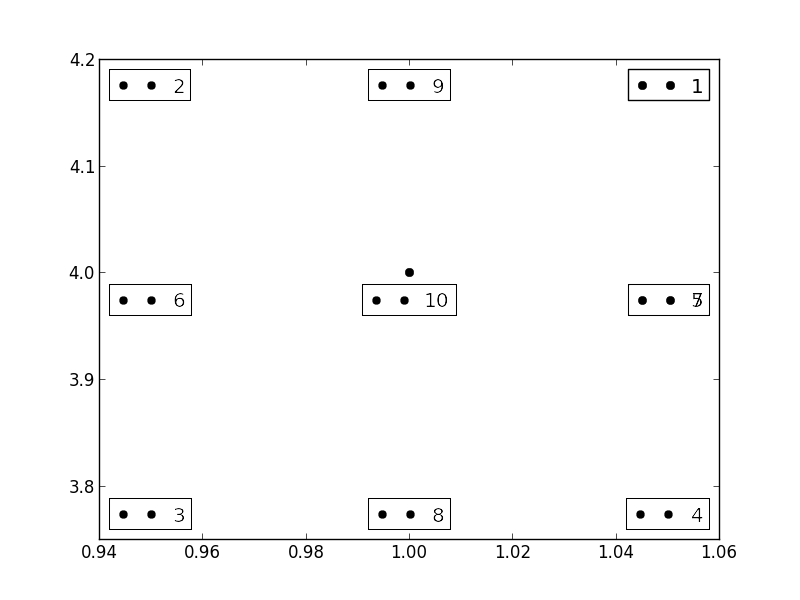 Here is a quick remider of how to place a legend in a matplotlib plot. Interestingly, values 5 and 7 both correspond to the same location. You can also pass loc a tuple of x,y coordinates in axis units, if you need precise placement, check out the docs for more info.